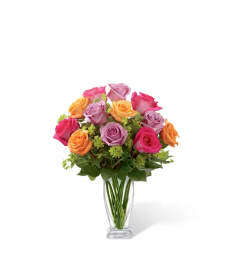 Win their heart with this impressive rose bouquet! 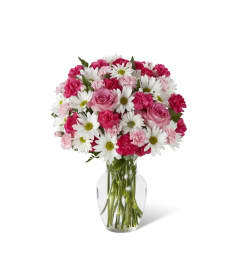 Dark pink and hot pink roses look simply divine with rich red carnations. Hand-delivered in a stunning, satin-finish vase adorned with golden hearts, it's a Valentine's Day surprise they'll never forget! 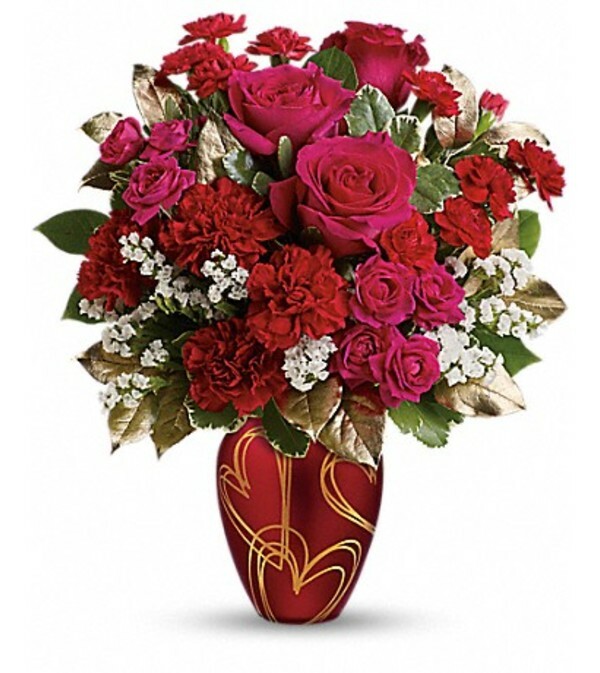 Stunning dark pink roses, hot pink roses, red carnations and red miniature carnations are arranged with white sinuata statice, variegated pittosporum and lemon leaf. Delivered in a Hearts Of Gold vase.